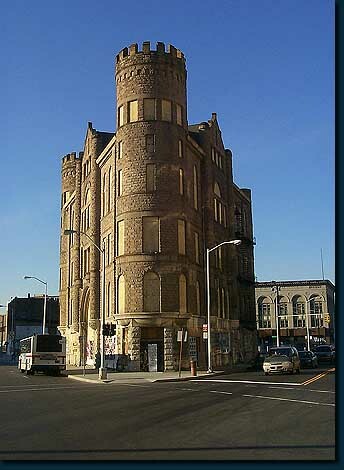 The mighty fortress of the GAR [Grand Army of the Republic] building at Cass and Grand River. In the right background is the likewise elegant and abandoned Loyal Order of the Moose building. There is something special about the yellow sun on a clear day in late autumn that illuminates the ruins of Detroit and once again elevates them to their former glory. Join me as I wander the streets of Detroit on this magnificent day.